This is a collection of a decade or two of letters, questions, thoughts, and transcripts...from various times and places, cities and countries, for the purpose of lighting the path for those of you who are training the Next Generation to be Poet-Warriors for Jesus! HOW Do I Lead My Children to Brother and King JESUS, and to His Kingdom? Exhortation and Motivation to Raise Your Children Properly! Forget Un-church, Un-education... ONLY JESUS! 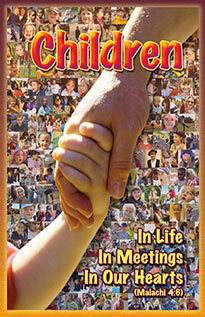 More Regarding Children in "Meetings"
"Be Like a Child...to Become like Me..."